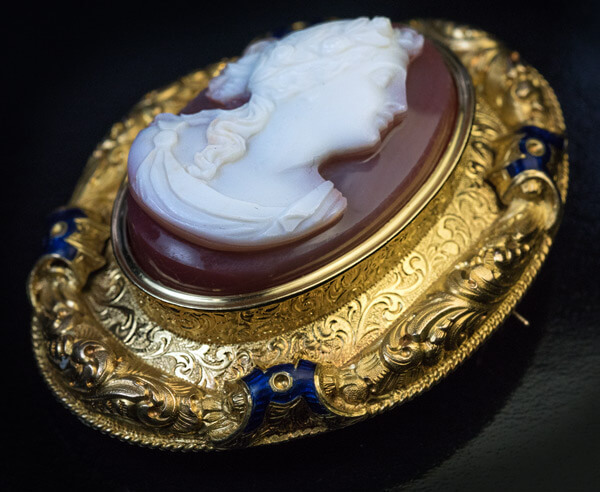 A rare French King Louis Philippe era sardonyx cameo brooch. 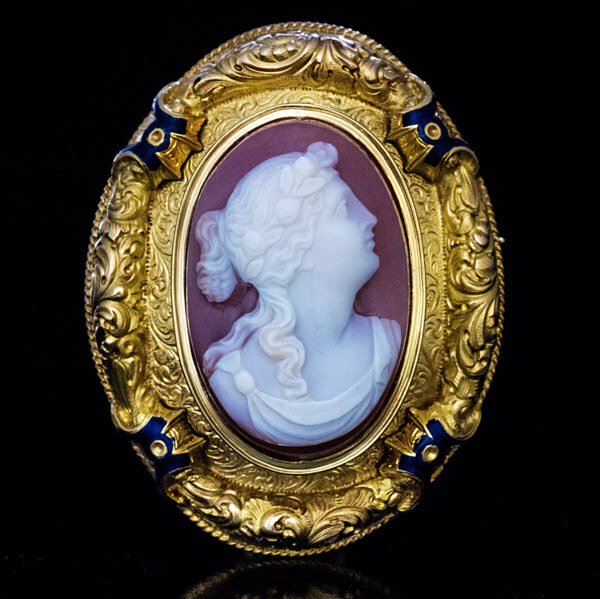 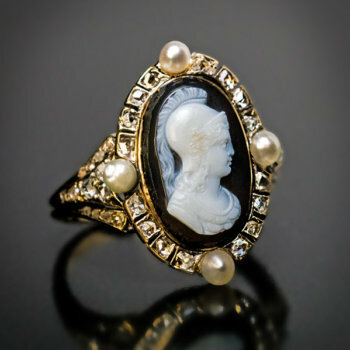 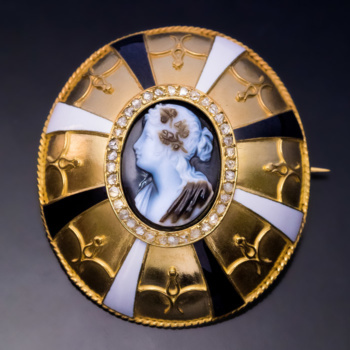 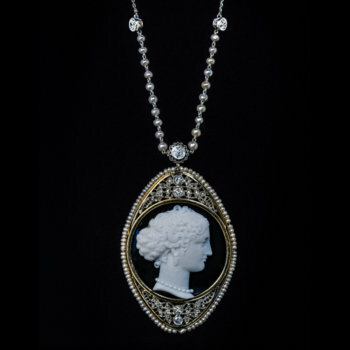 The cameo is carved in high relief with a classical female bust and set in a large ornate 18K gold and cobalt blue enamel frame. 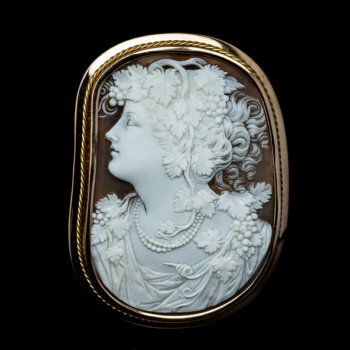 The cameo is dated on the back ‘1842’. 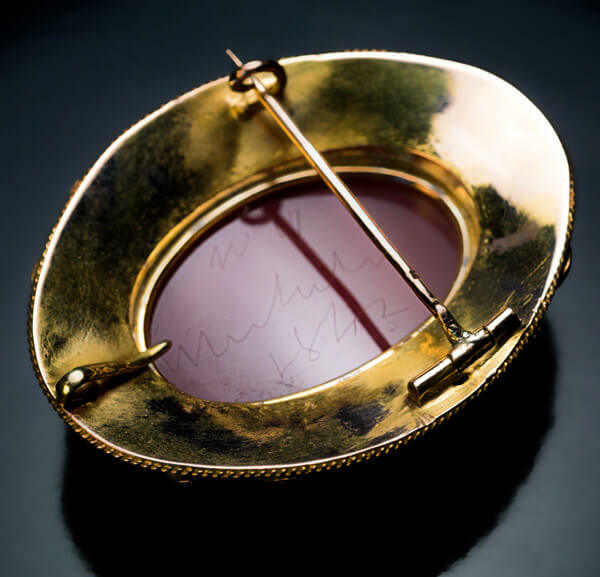 Marked on pin guard with French eagle’s head assay mark. 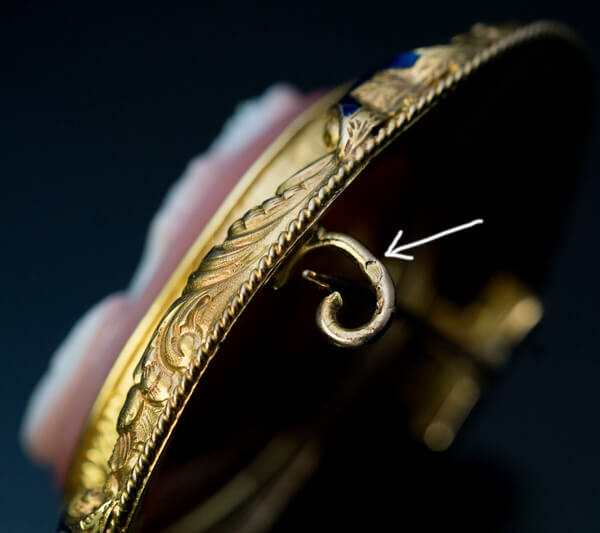 There is a hook on the back of the brooch (on frame) from which a pendant can be hung.